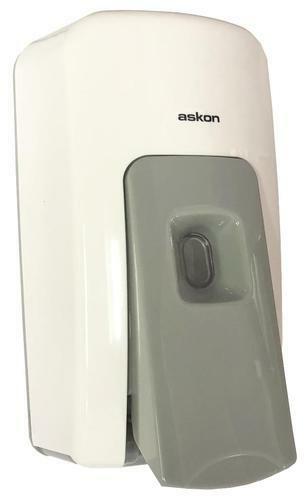 We offer high-quality Plastic Soap Dispenser for use in washrooms, public utility areas, restaurants, and offices. Askon Hygiene Products Pvt. Ltd. established in 2005, we are the finest manufacturer, wholesaler and exporter of Hand Dryers, Urinal Sensor, Sensor Taps. We have a rich 32 years experience in designing the very best hand dryers and other sensor operated products. We count the best companies across various sectors like IT, hospitality, banking & real estate among our clients. We have had the privilege of working with the best minds in architectural world, and have partnered with various turnkey interior designers and contractors for their various commercial projects across India. We constantly innovate to better our products in terms of quality and performance and never settle for anything less. Above else we try to provide the best quality at the best prices but with an emphasis of never compromising on quality. We are not the cheapest and we do not intend to be. However, we do intend to be a company whose products our customers can trust to perform and last.